The athletic program at Immanuel refers to competitive sports between schools, as an after school extra-curricular event. Having school teams provides the student body with events beyond academics to develop school spirit. Our athletic program is an extension of the overall school ministry here at Immanuel. 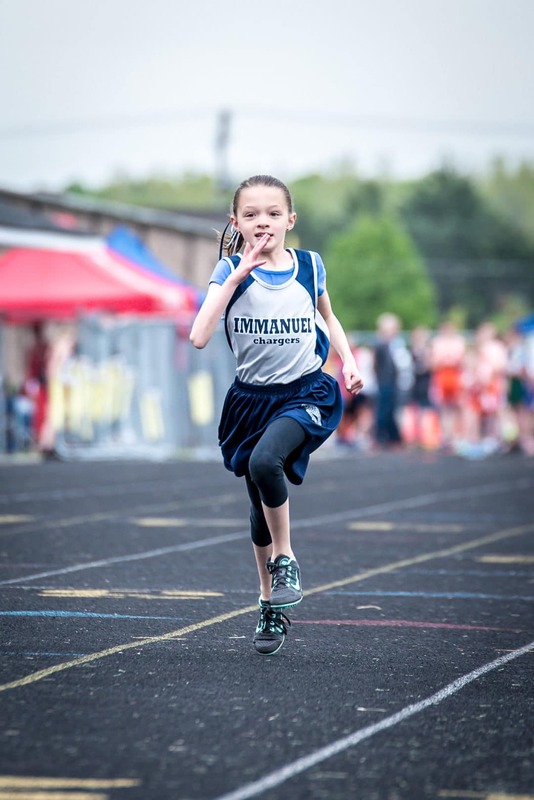 The aim of Immanuel athletics is to facilitate the goals of Immanuel Lutheran School through sports activities. One of the major goals of the athletic program is to help students learn to apply Christian principles to their lives. Dealing with success, as well as frustrations and failure, understanding team work, and maintaining a proper Christian attitude in sports and in daily life is our goal. The athletic program strives to develop technically correct physical skills, physical conditioning, commitment to team concepts, self-discipline, priority-setting, the encouragement of others, perseverance, and the earning of playing and a position on the team. Cross Country begins the first week of school in August and concludes about the third week in October. Boys and girls in 4th – 8th can participate in cross country. The 4th – 6th grade competes in the JV boys and JV girls division and the 7th – 8th grade compete in the Varsity boys and Varsity girls division. Cross Country runners run in 5 – 6 meets each year including the Lutheran Northwest Meet, Lutheran North Meet, NSLAA League Meet, Centerline Meet, Shady Woods Invitational, State Meet, and possibly one or two more. The Immanuel soccer teams consist of boys and girls in 5th – 8th grade. Soccer begins the first week of school in August and concludes about the third week in October. Immanuel has two teams, the Varsity (7th & 8th grade) and the Junior Varsity (5th & 6th grade). 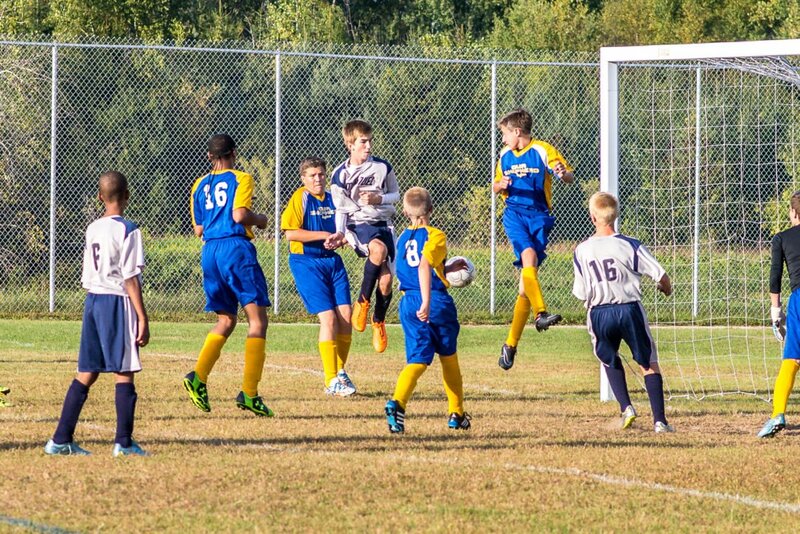 The Varsity soccer team and JV soccer team play area Lutheran schools in the NSLAA. The regular season is comprised of 10 league games with other NLSAA teams. The Varsity soccer team also participates in three tournaments, the Lutheran Northwest, Lutheran North, and Frankenmuth tournaments. Girls volleyball begins the first week of school in August and concludes about the third week in October. Immanuel has two 7th & 8th grade volleyball teams, Varsity A and Varsity B, and two 5th & 6th grade volleyball teams, JV A and JV B. The Varsity A and JV A volleyball teams compete in Division 1 of the NSLAA, and the Varsity B and JV B volleyball teams compete in Division 2 of the NSLAA. The regular season is comprised of 10 league matches with other NLSAA teams. The Varsity volleyball teams also participates in three tournaments, the Lutheran Northwest, Lutheran North, and Frankenmuth tournaments. The JV volleyball teams participate in one or two tournaments. The 5th & 6th grade or Junior Varsity (JV) basketball season begins the fourth week in October and concludes at the end of December before our Christmas break. Boys and girls in 5th and 6th grade participate in JV basketball. At Immanuel, we field two girls JV basketball teams, the JV A Girls and JV B Girls, and two boys JV basketball teams, the JV A Boys and JV B Boys. The JV A Girls and Boys teams compete in Division 1 of the NSLAA, and the JV B Girls and JV B Boys teams compete in Division 2 of the NSLAA. The regular season is comprised of about 10 league games with other NLSAA teams. The JV basketball teams also compete in one or two tournaments each year. The 7th & 8th grade or Varsity basketball season begins in January and concludes about the first week in March. 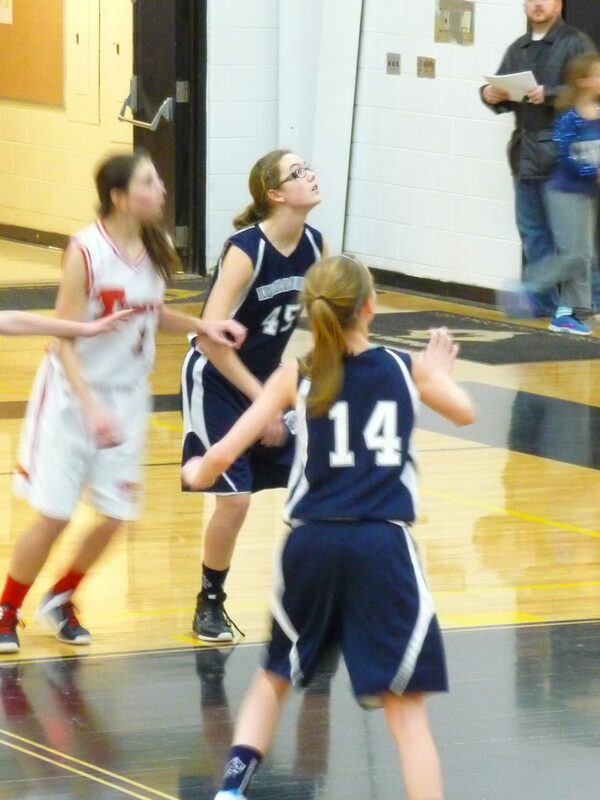 Boys and girls in 7th and 8th grade participate in Varsity basketball. At Immanuel, we field two girls Varsity basketball teams, the Varsity A Girls and Varsity B Girls, and two boys Varsity basketball teams, the Varsity A Boys and Varsity B Boys. The Varsity A Girls and Boys teams compete in Division 1 of the NSLAA, and the Varsity B Girls and Boys teams compete in Division 2 of the NSLAA. The regular season is comprised of 10-12 league games with other NLSAA teams. The Varsity teams participate in two tournaments each year – the Lutheran Northwest Tournament and the Lutheran North Tournament. The Varsity A teams also participate in the Frankenmuth tournament. Our Varsity A teams also have the opportunity to qualify for the Michigan Lutheran State Basketball Tournament held each year in Ann Arbor. The Immanuel Track season begins in April and concludes with the State track meet held the Saturday after Memorial Day. Students in 4th through 8th grade can participate in track. “Tracksters” are grouped into classes based on upon their grade level. Class A consists of 7th and 8th grade participants and Class B consists of 4th – 6th grade participants. Participants only compete against other athletes in their class. Track consists of the following events – 100 m dash, 200 m dash, 400 m dash, 800 m run, 1600 m run, 4 x 100 m relay, 4 x 200 m relay, 4 x 400 m relay, long jump, shot put, and high jump. Our track season consists of up to five track meets depending upon grade level and success at the Regional Track Meet. 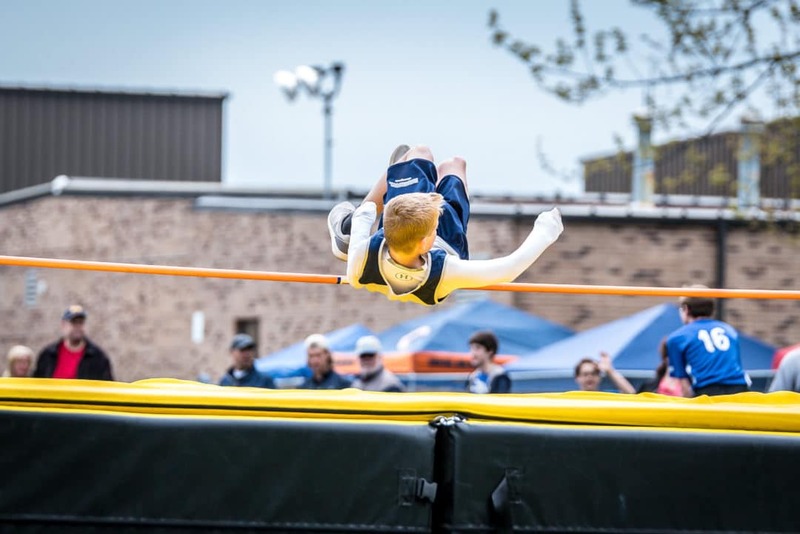 The track team participates in the Oakland Meet (Oakland University), League Meet (Lutheran High North), Lutheran Northwest Meet (Lutheran High Northwest), and the Regional Meet (Lutheran High North). 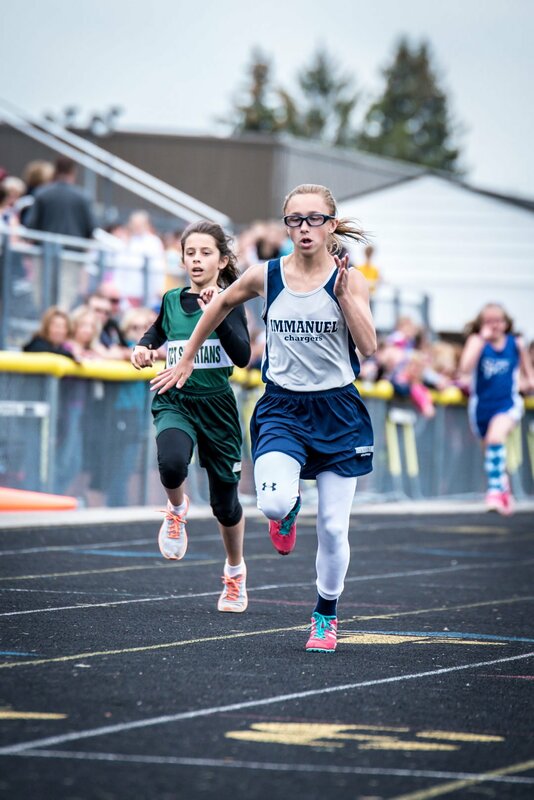 Those who do well in the Regional Meet can qualify for the State Meet and compete against the top “tracksters” from all the Lutheran schools in Michigan. Locations for the State Meet varies from year to year. To teach our athletes to be thankful for their God given talents. To honor Jesus through all that we do, including athletics. To practice Christian love among students, parents, and coaches. To provide Christian discipline when a problem arises. To develop character traits such as responsibility, leadership, sportsmanship, teamwork, and self-control. To stimulate school spirit and pride without compromising respect toward others. To develop fundamental skills and knowledge of the rules of respective sports. To prepare our athletes for high school level athletics. To provide a positive athletic experience for each athlete and to encourage a lifelong enjoyment of sport and recreational activities. Immanuel participates in the North Suburban Lutheran Athletic Association (NSLAA).